The Question: Should the fear of “releasing” microcystin deter an algaecide application? The hypothesis: Many cyanobacteria contain microcystin internally and upon treatment with algaecides cells are lysed and release microcystin into the water, consequently posing increased threats to organisms. The rebuttal: If the source of the toxin is controlled (i.e. 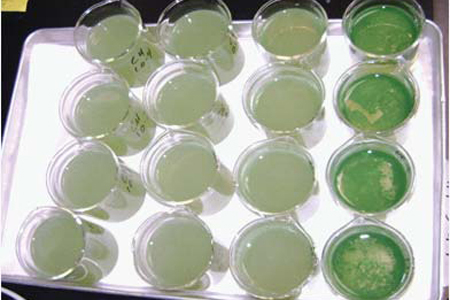 cyanobacteria) no more toxin can be produced. Treatments do not have to lyse the cell for cell death to occur. The “no action” decision often results in increased toxin and consequent risk.